There are currently two Car Free Day events in Bandung, held in Buah Batu and Dago area. 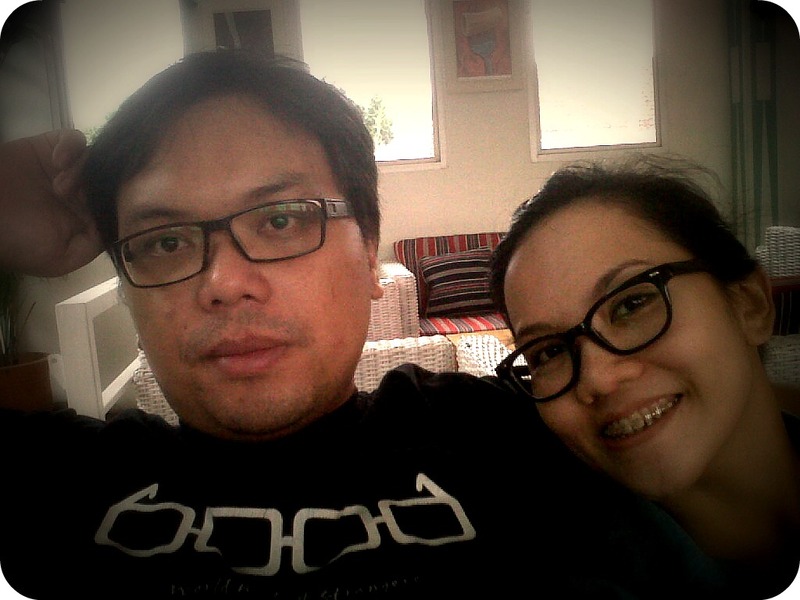 We used to visit the Buah Batu event. One of the main traits of Car Free Day event in our opinion is their foods. Before in our post we already discussed about some of them, including the Hotdog Colok vendor. Today we will discussed about our another favorite vendor: The traditional mixed fried snacks vendor. Located in the middle of the Car Free Day event, this vendor are run by a couple, and usually accompanied by their daughter. 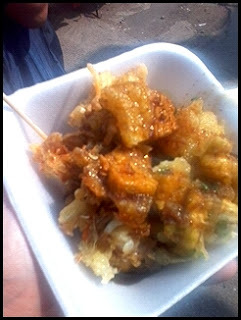 They sell the traditional mixed fried snacks a la Bandung which consisted of bala-bala (fried vegetables), cireng (fried glutenous rice), tempe mendoan, and fried tofu. One of their main gimmicks is that they are frying them fresh and not using used oil, which makes the snack tasted better. With the price of Rp 6.000,- (~US$ 0.5) you can have a decent breakfast menu. Beware though, as the food are being prepared fresh, sometimes you will have to wait for 15 minutes or more to get your serving. But at the end, the waiting is worth it. Well, at least for us ^_^.